BCA Business Services Ltd. is a well established debt collection agency that offer a variety of services required to collect overdue debts on behalf of companies and individuals. BCA operates a “No Win - No Fee” approach, so if debts are not collected on your behalf there is nothing to pay. 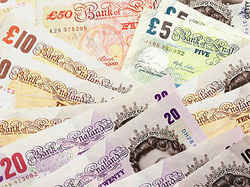 BCA operate a NO WIN – NO FEE policy and all the calls and letters used to recover your money are part of our service. Unlike some debt collection agencies, we do NOT charge an upfront administration fee. We simply take our commission out of the money we collect for you. All our commissions and charge rates are clearly listed on the ratecard page. In addition to collecting overdue debts, we offer a fully integrated service saving your company time and money running your own credit control department. In effect, BCA becomes an extension of your company, treating your valued customers with respect, but at the same time making sure that your cash flow is not put at risk by late paying customers. © Copyright BCA Business Services Ltd., July 2011.